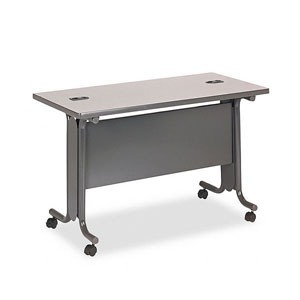 When you need to purchase a training table for your office, consider buying from ROF. Whether you need one table or ten tables, trust ROF to have the ideal furniture for your business. We sell a wide variety of new, used, and refurbished office furniture from some of the most reputable names in the business, including, HON, Steelcase, and Herman Miller. We understand that you have a budget to meet, but also would like to buy the best furniture you can. That is why we are proud to offer much of our used and refurbished furniture for as low as one-fifth of the price of new office furniture. ROF is located in the heart of Tampa, Florida, where we have a 120,000-square-foot facility that houses all of our new, used, and refurbished furniture. The warehouse is conveniently located near Tampa International Airport and the Port of Tampa, and thanks to our fleet of trucks and professional moving staff, our customers enjoy quick and easy shipping after placing an order with us. ROF is sure to have an office training table that will be perfect for you. Contact ROF today to receive more information about buying a training room table for your office.